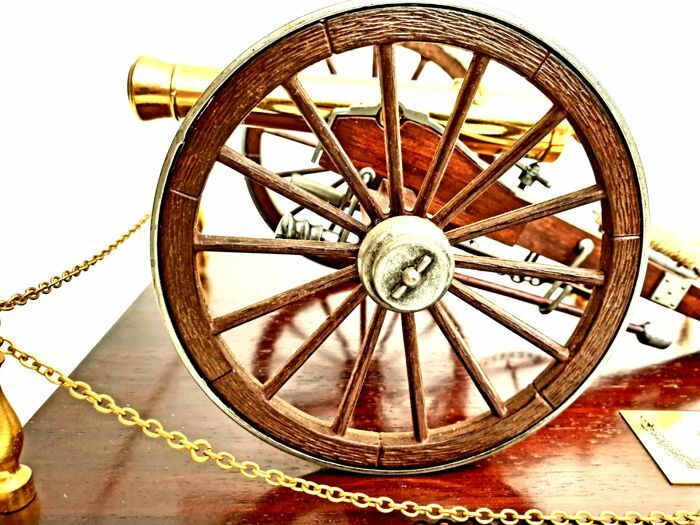 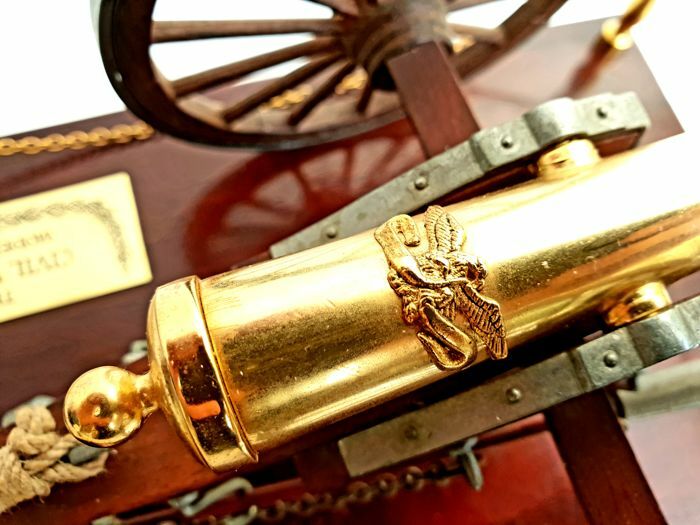 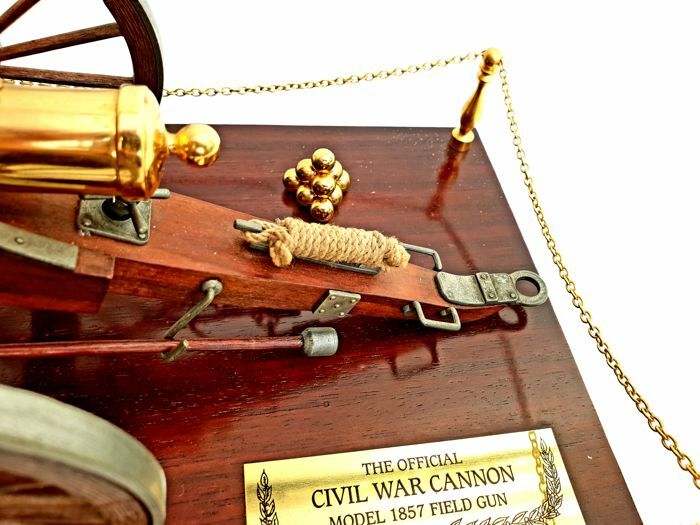 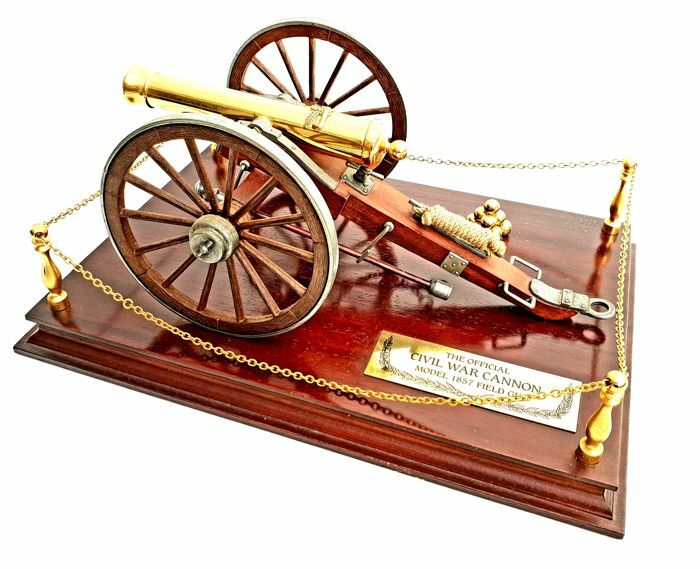 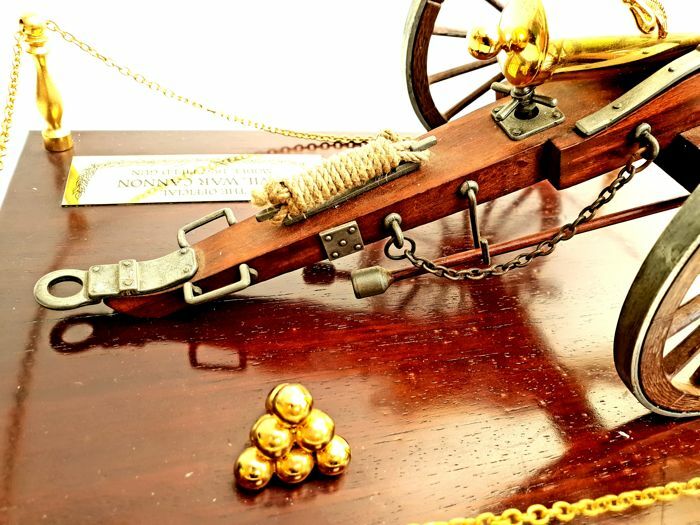 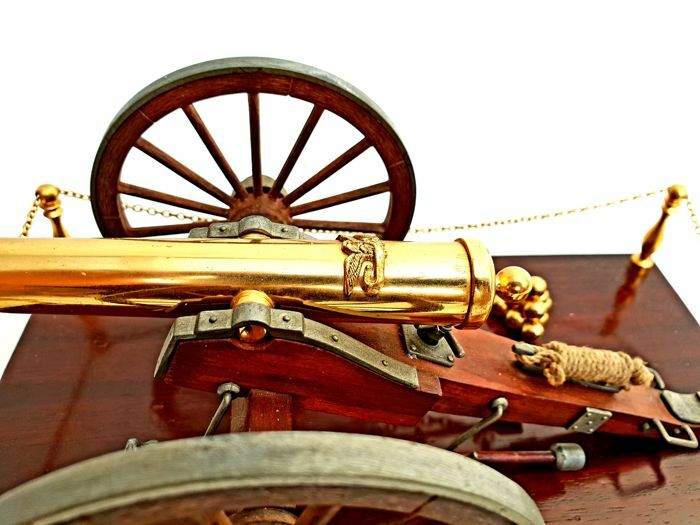 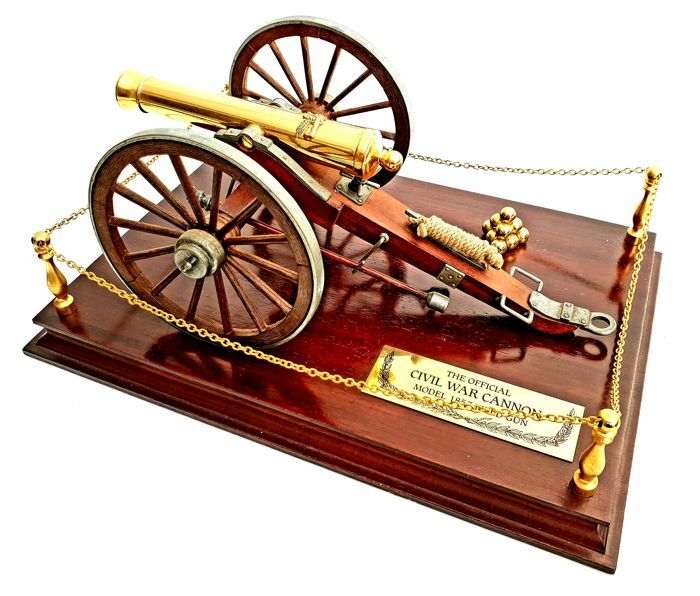 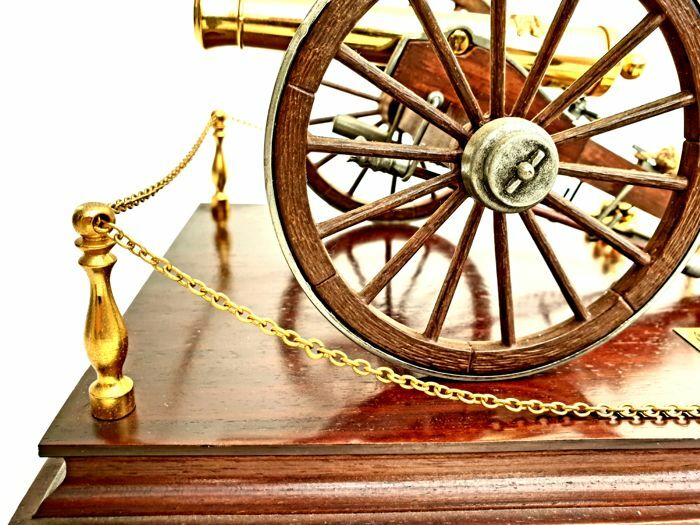 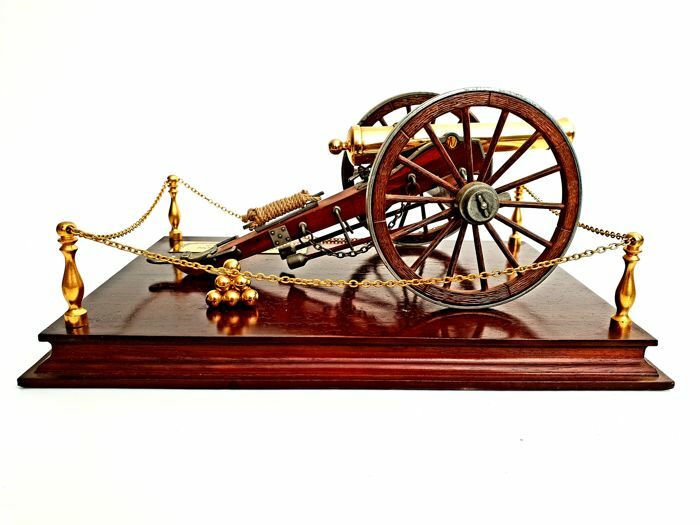 Large model of the Official Civil War Cannon, the Model 1857 Field gun, complete with luxurious mahogany wood and heavy 24 carat gold accents. 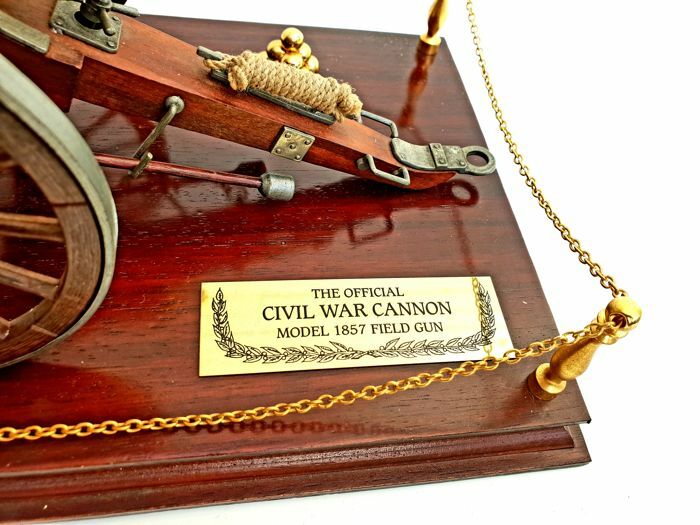 Extremely rare chance to bid on this beautiful model in an absolute mint collector’s condition! 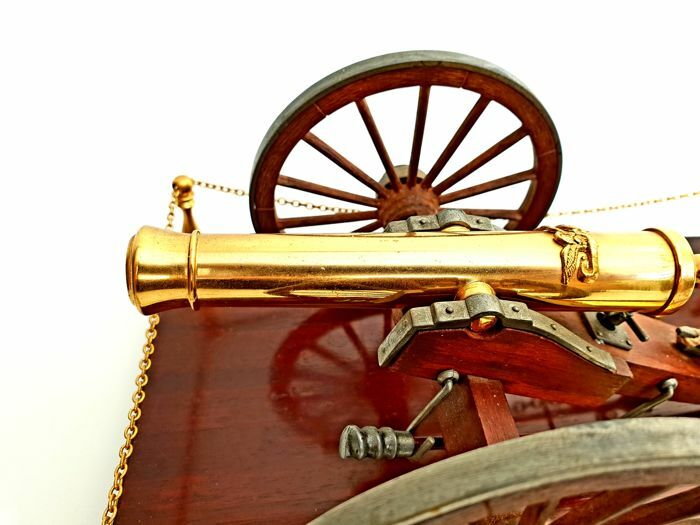 The cannon, expertly crafted with enormous eye to detail, measures an impressive 24 cm long and 13 cm in width. 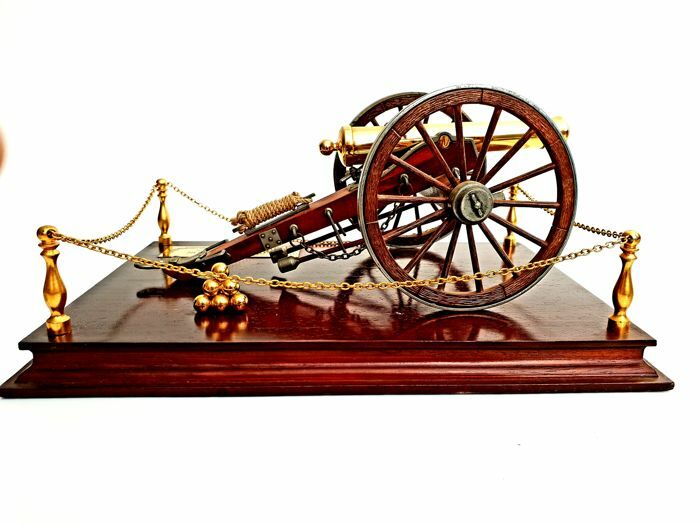 The mahogany wood base measures 28 x 20 cm! 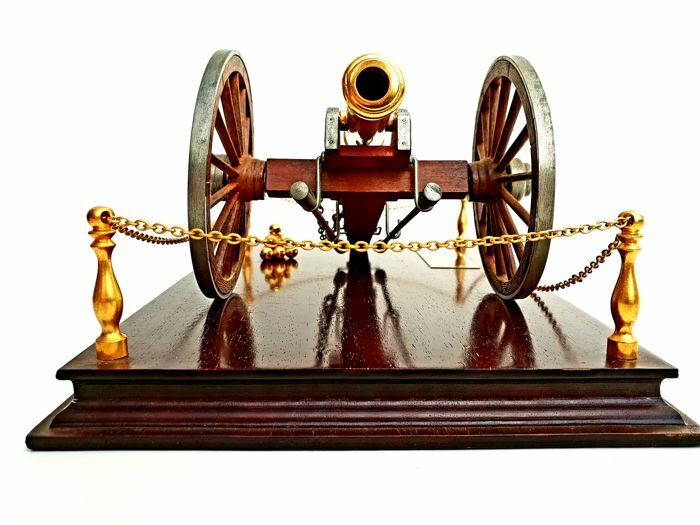 Extremely rare model of this beautiful Historical piece! 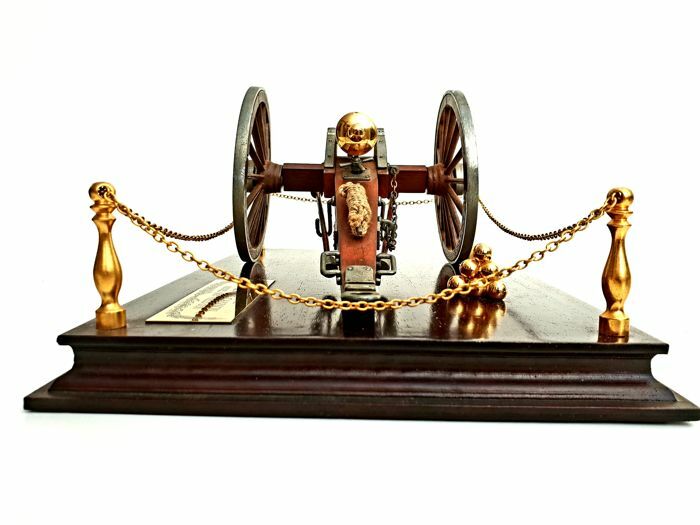 Will be handled with extreme care and will be shipped by insured post!